Includes every non-government owned residential, commercial, condo and vacant lot. Also includes thousands of highly detailed property maps covering Oahu, Molokai, Maui, Hawaii, Kauai,and Lanai. Find the owner and information on any non government owned property Oahu Hawaii. About 250,000 Records at your finger tips! If printed, this would comprise of 5 books--1300 pages each. Condominiums, single and multi-family houses, apartment buildings, commercial buildings, office buildings, vacant lots...every property non government owned property on Oahu including Honolulu, Waikiki, Waimanalo, Kailua, Kahaluu, Waikane, Kahuku, Kawela, Mokulela, Makaha, Wahiawa, Makakilo, Waipahu, Pearl City, Aiea, Waimea, Laie, Pali Highway, Waimanalo, Hawaii Kai, Kahala, Diamond Head, ... all of O'AHU that is not government owned.. The program is self contained and runs without additional programs. Nevertheless, since the basic data is in dbf (Dbase - Foxpro format) files, many brokers import our data into their existing spread sheet or database programs and use our data as the basis for their computerized contact list and mailing list. This can be a very useful feature, which may help you in sales. Please note: By purchasing/ordering this cd-rom, you agree that you have read the Terms of sale and agree to be bound by these terms. Thank you for your cooperation. Since our products are new to the Hawian Islands, we are presently offering this product at an introductory price of only $249 (plus $7 for priority mail postage) for a one year license. The program is self contained and runs without additional programs. Nevertheless, since the basic data is in dbf files, many brokers import our data into their existing spread sheet or database programs and use our data as the basis for their contact list and mailing list. This can be a very useful feature, which may help you in sales. this will depend on your industry and various regulations that may govern solicitations in your area. As mentioned above, you may wish to incorporate our data into your existing database and perhaps add your own data to the files. To do this, some knowledge of computers is necessary and you must have a program that can import our dbase files. Some programs may be available over the net as "freeware". Now contains photographs of over 2,000 photographs covering various areas and towns around Oahu. It also includes a photograph of almost all buildings and lots on Kalakaua Avenue in Waikiki. One CD-ROM contains information on every non-governmental property in Oahu ... about 250,000 records. The information is so vast that if we were to print it in book form, we would need 5 books! This cd-rom covers everything including commercial, residential, vacant lots, condominiums. Even if you normally only work in one area, you will find the information from the other areas very useful. One sale outside your normal business area would prove this. Photographs of several thousand buildings, lots, towns and areas around Oahu. Now contains thousands of block and lot or tax or land maps covering every property on all of the islands of Hawaii including Oahu, Maui,Hawaii, Molokai, Kauai, Lanai and other islands. Since the basic information is in a dbase type file, you can view, search or print data with our program or you can export the information to you favorite spreadsheet or database programs. The Oahu Real Property Database CD-ROM is the choice of most real estate brokers and sales people, land owners, investors, lawyers and anyone interested in buying real estate in Hawaii. The Oahu / Hawaii Real Property Database CD-ROM is also useful to electricians, plumbers, contractors, welders, builders, gardeners, window companies, heating companies and companies which provide services or products to property owners. 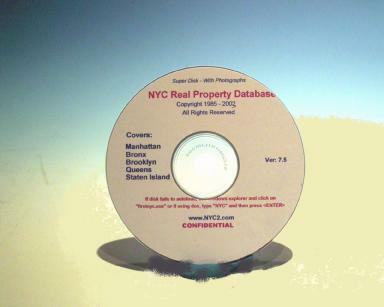 A new updated edition of the Oahu Hawaii Real Property Database CD-ROM is issued and offered for sale every year. Runs under windows or dos. The price of the Oahu / Hawaii Real Property Database CD-ROM is simply unbelievable. Since we are new to the Hawaian Islands, our introductory industry discount price is presently only $249 (plus $7 for priority mail postage). This includes information on every non-governmental property in Oahu plus thousands of block and lot or tax or land maps covering all habited islands comprising of the State of Hawaii plus thousands of photographs covering Oahu. To get a better idea of what is on the cd-rom, please click on any of the images below to enlarge. Description of what the property is being used for (vacant lot, office building, condominium, apartment building and so on). The area of the land is provided (for example 2500 square feet). Telephone number of some of the Resident(s) and owners. In some cases, the type of business operating on some of the properties. This field is often inaccurate since businesses move and change hands so often. Never the less, this information does provide the database user with some "feel" for what the property is or was used for. Includes amounts of tax exemptions, in some cases. Building value or price, in some cases. Land value or price, in some cases. The CD now includes direct internet links to almost 400 counties around the USA and Canada! About 2500 photographs of various areas around Oahu. Also contains a photograph of almost every building on Kalakaua Avenue in Waikiki. Property tax or land or block and lot maps for all of the Hawaian Islands. PROPERTY MANAGER: is property management software which is now included on the cd-rom in order to help you enter data on your rental properties. This program is very easy to use and puts information into a standard dbf format file. Information can then be searched by most criteria or exported into most standard word processing, database, or spreadsheet programs. This is, of course, in addition to the extensive database of every property in NYC. A $289 value. PROFESSIONAL BROKER: This is a program which helps the real estate broker enter data about the properties which they represent. A $165 value. OTHER AREAS: If you are interested in New York State and New York City, click here for a list on our products covering these areas. We service many metropolitan areas around the country. Remember this, it may save your life in the future. HOW TO SURVIVE A HEART ATTACK ALONE. If you suddenly you start experiencing severe pain in your chest that starts to radiate out into your arm and up into your jaw. you may be experiencing a heart attack. Since many people are alone when they suffer a heart attack, it important to know what to do. Without help, the person whose heart stops beating properly and who begins to feel faint, has only about 10 seconds left before losing consciousness. However, these victims can help themselves by coughing repeatedly and very vigorously. A deep breath should be taken before each cough, and the cough must be deep and prolonged, as when producing sputum from deep inside the chest, and a cough must be repeated about every 2 seconds without let up until help arrives, or until the heart is felt to be beating normally again. Deep breaths get oxygen into the lungs and coughing movements squeeze the heart and keep the blood circulating. The squeezing pressure on the heart also helps it regain normal rhythm. In this way, heart attack victims may have the needed time to contact help or get to a hospital. This information was published in a medical journal. You should consult your physician about his opinion of this technique. from our CD-Rom you have unlimited use of the data we have placed on that CD-Rom for you.